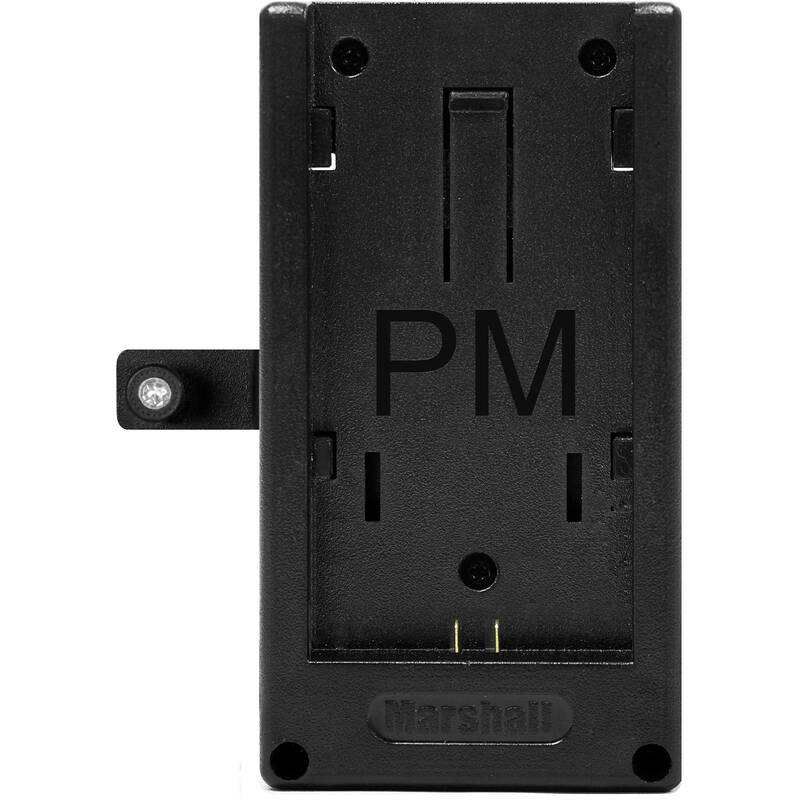 This Marshall Electronics Uni Battery Mount can be used with Marshall Electronics V-LCD56MD, V-LCD70MD, V-LCD71MD, V-LCD90MD, and M-CT710 monitors. It attaches on the back of the monitor via an optional Base Plate and supports Panasonic CGA-D54 batteries. The Base Plate is already supplied with each of these compatible monitors but can also be purchased separately (model # 0032-1303A). The Battery Mount connects into the monitor via an integrated cable with a JST connector. Box Dimensions (LxWxH) 6.6 x 4.3 x 3.8"